Nevada is presently one of the leading states within the Union in regards to the gambling industry. The Nevada gambling industry is also its highest form of tax revenue as it is home to the largest variety of slot machines, table games, and various sports gambling methods in the country. This leniency towards gambling comes with much regulation and management of the differing enterprises within the state. Currently, the state also has one of the only legal online poker platforms and authorizes a series of online casino platforms to service the residents of Nevada. 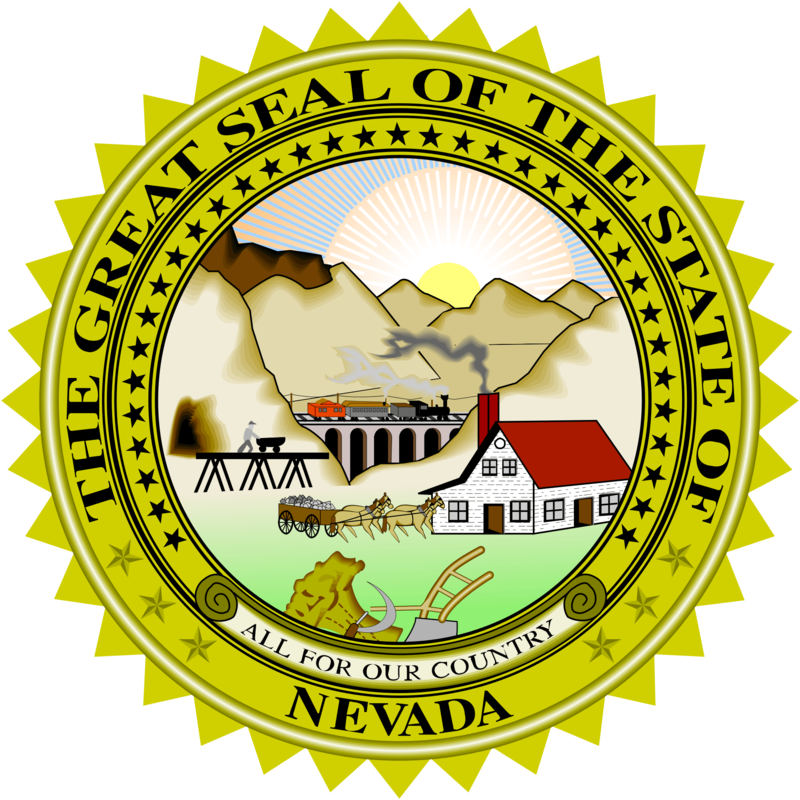 Nevada made big waves back on 2013 when it became the first US state to create legislature for and implement online poker websites. It was the first state to have live US-based poker websites host 100% legal online poker games within the US. What Types of Gambling are Legal Under Nevada Online Gambling Laws? Unlike the majority of US states’ position on online gambling, Nevada has a fair amount of options to choose from under Nevada Online Gambling Laws when residents are looking for action. Residents can try their hand at online poker. The state has a couple of third party platforms and grants a variety of Casinos to host online poker rooms as well. Sports fans can head down to a brick and mortar establishment and place a wager in person or online by betting on horse racing or greyhounds! Sports betting parlors will be available online soon, as the Legislature has been passed, and the state is looking to regulate the gambling type for a legal platform as fast as possible. For now, sports enthusiasts will have to stick to horse betting. Poker is a legal online option in the state, and Nevada remains only one of three states in the Union to authorize the popular table game. The Gaming Control Board allows a series of large brick and mortar establishments such as The Wynn and The Caesars Casinos to operate a legal website for poker play. However, a majority of big time poker players enjoy playing in person to read the other players around them. The online option does still service over a million players with a legislative agreement pooling both Nevada and Delaware’s players together. New platforms are popping up frequently, but the casino industry does not let new players in the game very easily and continue to push against the federal legalization of third party operators. All the while, Nevada residents can play poker online knowing they are within the full boundaries of the law. Nevada, Delaware and New Jersey now share player pools on online poker tournaments. With a population of nine million people in New Jersey (about twice the size of Delaware and Nevada combined), Nevada players are given a much more massive player pool to go up against. The first online poker room that opened its doors in Nevada, Ultimate Poker, has since shut down. Currently, there are two online poker websites that operate in the state. This includes World Series of Poker and Real Gaming Online Poker, which is operated by South Point Hotel and Casino. The World Series of Poker continues to lead the poker industry by hosting several annual tournaments and charity events. The well-known company now has a presence on the web with Nevada’s largest online poker platform. Choose to play a range of different types of poker with an array of player pools and lobbies. WSOP online has an easy to use interface that allows players to access live action games from any internet device. Bet a small amount or step up your game with high stakes poker. Players from all experience levels love WSOP as a keystone in the poker industry that continues to provide an excellent overall experience. RealGaming is an amazing platform for playing online poker and gives WSOP.com a run for its money. It offers plentiful of ongoing promotions to entice players to keep returning. For example, one of their most popular promotions is their Final Table Freerolls and High Hand of the Hour. South Point Casino in Las Vegas launched RealGaming in July 2013. They received their interactive gaming license in August 2012 from the Nevada Gaming Commission, becoming the first to receive their license in Nevada, but not the first to open their doors. Nevada is home to two land-based horse and greyhound racing tracks. Although they do not host many live races, there is simulcast racing option for wagering year round. Nevada’s casinos also have access to pari-mutuel horse and greyhound racing. Almost every sportsbook in Las Vegas hosts live horse and greyhound racing. On top of the thriving brick and mortar establishments, there are also a couple of online platforms that allow residents of Nevada to make real cash wagers over the Internet. These sites hold contracts with nearly every racetrack in the US as well as a wide variety of tracks from around the globe. Not only are they safe for investments, betting from home is equivalent to placing a wager in person. Twinspires is a rising star in the horse and greyhound betting industry. The site is easy to navigate and gives useful tips to members at all experience levels. Members can get all of the most recent horse and greyhound racing news for all upcoming events. Join now for a free sign up bonus when you become a new Twin Spires member. TVG is by far the largest name in the business when it comes to horse and greyhound racing. The popular corporation also leads the charts in television with its national TV network channel providing all of the latest horse and greyhound racing for over 33 million American homes. TVG just released a new mobile application that lets sports enthusiasts bet from virtually anywhere on all of their favorite racing events. Join now for a new member sign-up bonus. The state of Nevada does not authorize, manage, or allow residents to make wagers at any online sportsbooks at the moment. The reason being, the 137 current sportsbooks are all in unison to prevent third party online operators from taking any piece of the pie. However, the state’s Gaming Control Board is in the process of regulating online sports betting for Nevada residents within the next couple of years. For now, the online gambling option is still considered illegal in the eyes of Nevada State Law. Residents can head to a brick and mortar establishment or bet online through the legal alternatives. Pari-mutuel horse and greyhound racing are allowed on Internet platforms. Online fantasy sports betting proves to give a similar thrilling experience as traditional sports gambling methods. In 2015, Nevada's state Attorney General and the Nevada Gaming Control Board officially declared Daily Fantasy Sports requiring a license to play in the Silver State. Both DFS' major companies, FanDuel and DraftKings, as well as other DFS operators closed their doors to the state's residents right away. There was some talk in 2016 to come up with an alternative to licensing DFS operators. In fact, a bill was drafted by FanDuel and DraftKings and was an almost exact copy of the Daily Fantasy Sports legislation that was passed in states that legalized it. However, Nevada Governor Brian Sandoval determined that there was no need to change the current regulations on DFS in Nevada. While, DFS is not technically illegal to play in Nevada, DFS operators require a license similar to other types of gambling within the state. So far, DFS operators have not wanted to go through the hassle of applying for a gaming license. Offshore sites are still a problem in Nevada. Although the Silver State has one of the healthiest gambling industries in the nation, many residents still choose to gamble illegally on foreign sites over the Internet. The issue with sites located overseas centers on the fact that these enterprises operate outside of US legal jurisdiction. The law cannot pursue offshore sites and cannot enforce fair play, or that winners will walk away with their winnings in full. Foreign sites usually operate in countries that have little to no gambling regulations. It is a fact that investing in an illegal site is unreliable and unsafe. On top of the financial risk of these sites cheating participants, playing on an offshore site is illegal in the state of Nevada. The State Gaming Control Board along with the Nevada State Attorney General deem playing on a site that lacks proper state authorization as a misdemeanor offense. Additionally, anyone thinking to start an underground gambling enterprise in the state should think again, as illegal operators will find themselves facing a much greater Felony B charge for any illicit establishments. Although Nevada does not permit any casino games over the web besides poker, state lawmakers have chosen to authorize all online games of skill as legal alternatives. Platforms such as WorldWinner and King host many interactive puzzle games that allow residents to wager real money legally. Choose from an array of game genres until you find your skill game niche. These sites hold proper licensing with the Nevada Gaming Control Board. WorldWinner is a part of the popular Game Show Network or (GSN). This company allows all members to try any game for free before actually playing for real cash. The site hosts many tournaments and cash prize events that have members coming back for more. Play a fun and exciting games like Candy Crush Saga or Scrabble Blocks against friends or matched up opponents from around the country. Check out WorldWinner for free and join for a signup bonus and free tournament entries. Learn more by reading the WorldWinner Review! When Was Online Gambling Legalized in Nevada? Online poker became regulated and legal on February 25, 2013 when AB114 was put into law. The bull authorized online poker licenses to be distributed within Nevada. In May 2013, Ultimate Poker became the first official site to offer licensed and regulated online poker games played for real money in the US. Are You Able to Play Online Casino Games in Nevada? At this time, you can only play online poker on those websites that have a license to operate within Nevada. Will Online Casino Games be Legalized in Nevada? There'a a good chance that online casino games will become legal in Nevada at a certain point in the near future. This is due to the fact that the same law that allows for regulated online poker within the state also paves way for online casino gameplay, which means that no new bill would need to be drafted. Lawmakers in the state have indeed been discussing it. There is some concern that online casinos would cut into the revenue of land-based ones. However, The Nevada Gaming Policy Committee doesn't seem to concerned with that and in fact has been looking into the age verification processes and geo-location software. Is Online Sports Betting Allowed in Nevada? Yes, in fact some Nevada sportsbooks have an online betting service with their own sports betting app. Only those in Nevada can access these to play for real money. Nevada proves to be one of the best states in the nation for gambling options. The Silver State is home to Las Vegas, which is the largest hub for brick and mortar gambling. Although there are a few restrictions on Internet wagering, the progressive policies in the state look forward to changing in full favor of online gambling. You should never gamble over an illegal website or enterprise. Stay away from offshore sites and stick to the legal online alternatives. If you have a gambling addiction, you should seek help as soon as possible. Remember your limits and to enjoy the experience. Have fun and good luck!